In this article, you will learn how you can write pure Java applications, that are able to work with data from an existing database, without writing a single line of SQL (or similar languages like HQL) and without spending hours putting everything together. After your application is ready, you will learn how to accelerate latency performance with a factor of more than 1,000 using in-JVM-acceleration by adding just two lines of code. 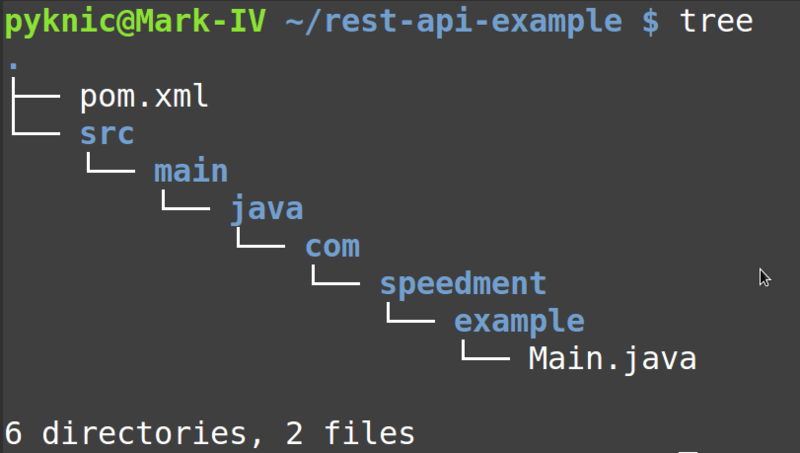 Throughout this article, we will use Speedment which is a Java stream ORM that can generate code directly from a database schema and that can automatically render Java Streams directly to SQL allowing you to write code in pure Java. You will also discover that data access performance can increase significantly by means of an in-JVM-memory technology where Streams are run directly from RAM. 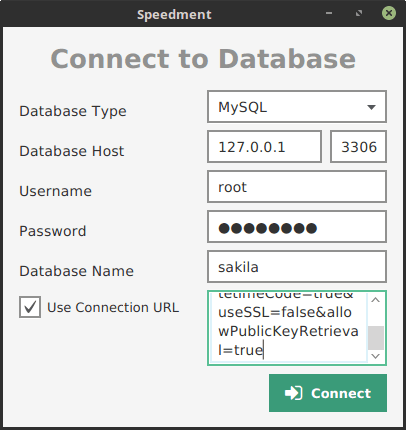 We will use an example database from MySQL named Sakila. It has tables called Film, Actor, Category and so on and can be downloaded for free here. 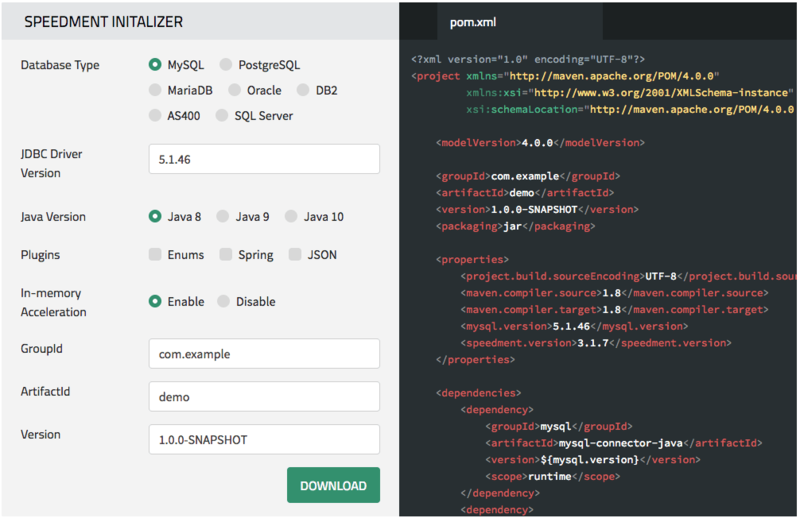 We will start to configure the pom.xml file by using the Speedment Initializer that you can find here. Press “download”, and you will get project folder with a Main.java file generated automatically. Once the schema data has been loaded from the database, the complete Java domain model can be generated by pressing the “Generate” button. This will only take a second or two. Next, we will write an application that will print out all films. Admittedly, it’s a small application but we will improve it over the course of this article. The SQL code rendered might differ depending on the database type you have selected (e.g. MySQL, MariaDB, PostgreSQL, Oracle, MS SQL Server, DB2, AS400 etc.). These variations are automatic. This will return all films that are either shorter than 30 minutes or longer than one hour. Check your log files and you will see that also this Stream is rendered to SQL. You can also compose multiple sorters to define the primary order, the secondary order and so on. This will sort the film elements by LENGTH order (ascending) and then by TITLE order (descending). You can compose any number of fields. This utility method can page ANY table using ANY filter and sort it in ANY order. will return a stream of films that are longer than 60 minutes and that are sorted by title showing the third page (i.e. skipping 150 films and showing the following 50 films). Again, if we had used another database type, the SQL code would differ slightly. Now, instead of rendering SQL-queries, table streams will be served directly from RAM. Filtering, sorting and skipping will also be accelerated by in-memory indexes. Both in-memory tables and indexes are stored off-heap so they will not contribute to Garbage Collection complexity. On my laptop (Mac Book Pro, 15-inch, Mid 2015, 16 GB, i7 2.2 GHz) the query latency was reduced by a factor over 1,000 for streams where I counted films that matched a filter and on sorted streams compared to running against a standard installation of a MySQL database (Version 5.7.16) running on my local machine. In this article, you have learned how easy it is to query existing databases using pure Java streams. You have also seen how you can accelerate access to your data using in-JVM-memory stream technology. Both the Sakila database and Speedment is free to download and use, try it out for yourself.